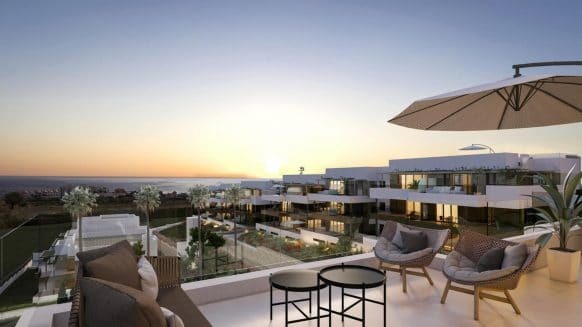 Las Terrazas de Atalaya is a new development of modern and contemporary apartments and duplex penthouses in Benahavis, the most sought after area between Marbella and Estepona. 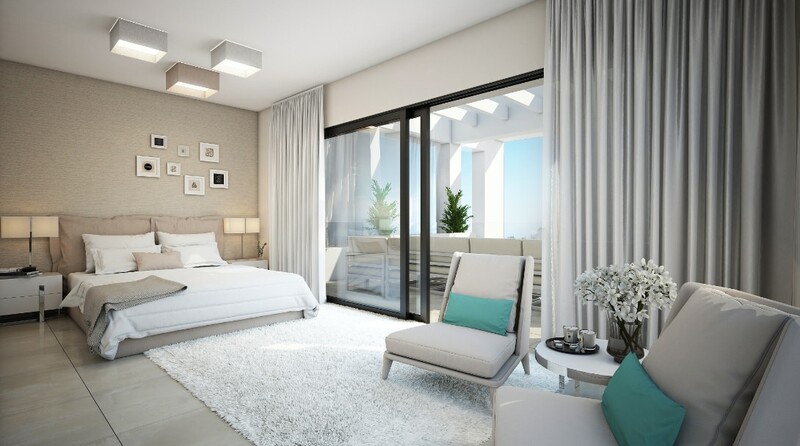 Las Terrazas de Atalaya consists of 56 apartments of 2 and 3 bedrooms and penthouses with 2 bedrooms and duplex penthouses of 3 bedrooms. Selling now is the second phase with 32 apartments, with a south and southwest orientation. Prices from 341.000 euro up to 850.000 euro. 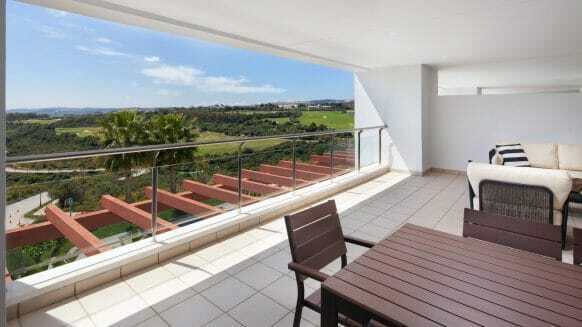 Every apartment without exception has views of the golf course, some also enjoy panoramic views to the sea. 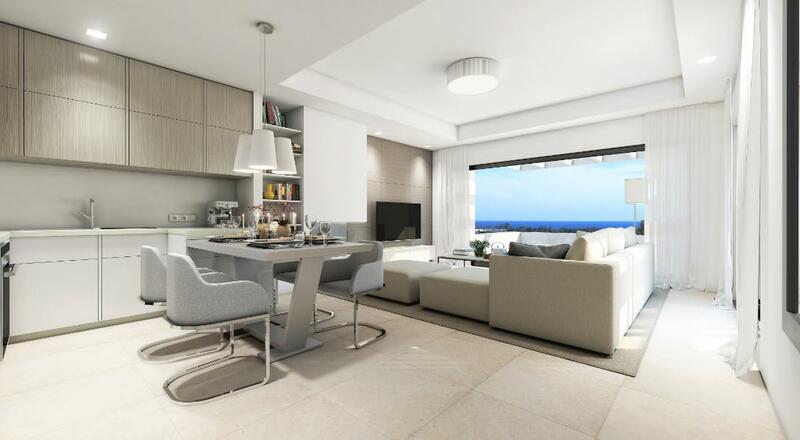 You will absolutely enjoy outstanding views of the golf and Mediterranean Sea from the penthouses terraces. 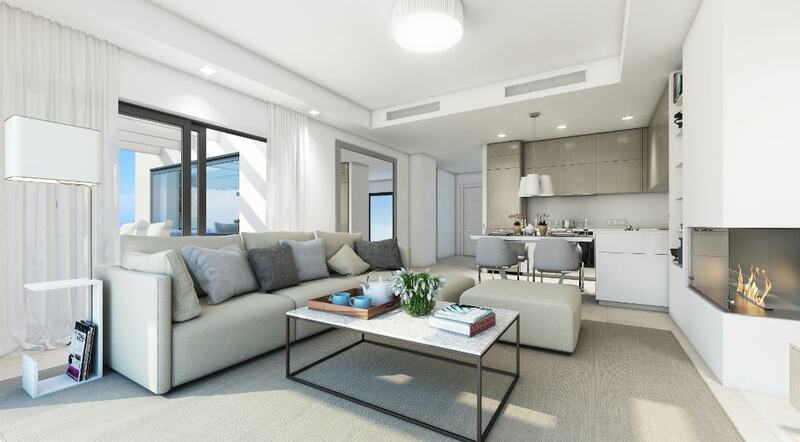 Apartments are bright with spacious living areas and large windows opening to the terraces. 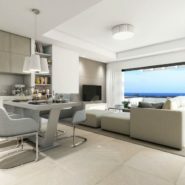 Ground floor apartments are available in two and three bedroom units, the have an open kitchen, spacious inside living areas and large terraces between 44 m2 and 64m2. All ground floor apartments benefit from gardens ranging in different sizes from 46 to the smallest to 84 to the larger ones. 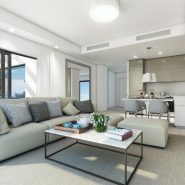 These apartments are designed to make the best use of the natural light, joining the interior and exterior spaces together. The selection of materials has been carefully studied, high quality finishing’s ensure the most comfort in lifestyle. Parking space and storeroom are included. The communal area offers large landscaped gardens, 4 swimming pools, a paddle court and leisure area with barbecue. 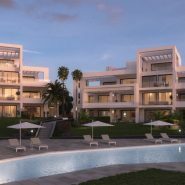 Located in a well-established area of Estepona near Benahavis, home to more exclusive property developments and a growing number of new villas. 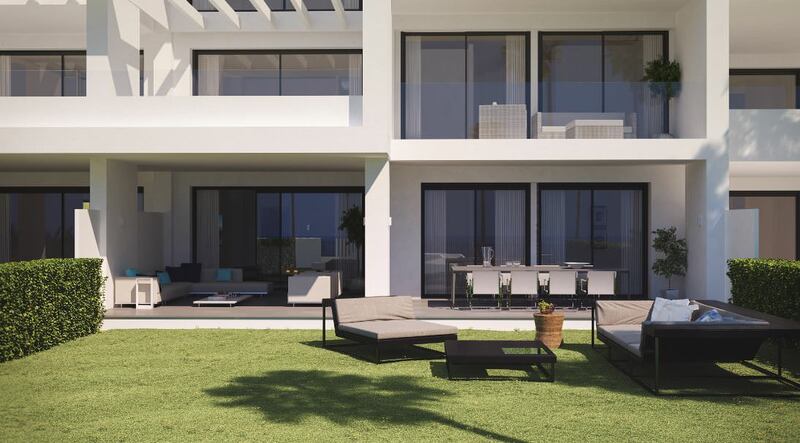 The project sits alongside the Atalaya Golf and Country Club, close to the sea and surrounded by golf. With modern architecture and exclusive materials Las Terrazas de Atalaya has it all! 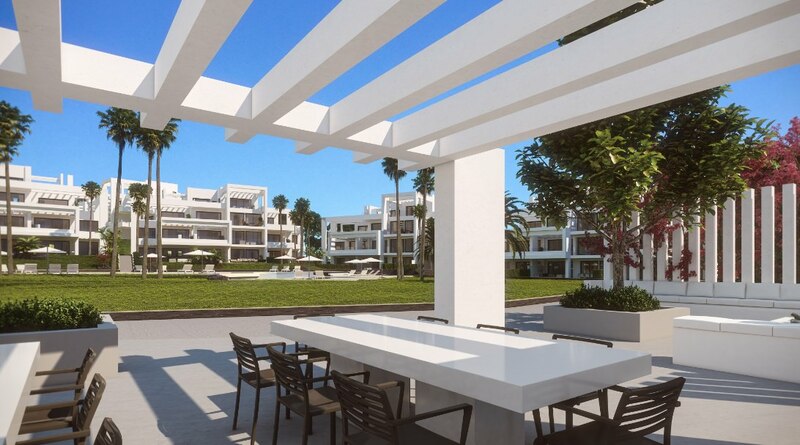 Home owners of Las Terrazas de Atalaya will benefit from the Privilege card of the Atalaya Golf and Country Club. 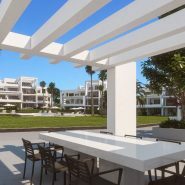 As for the 14 penthouse owners, a share in Atalaya Golf is included. 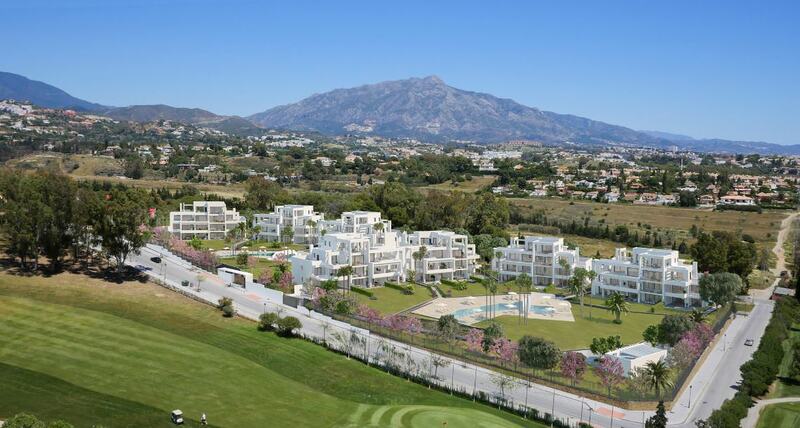 Within walking distance to Atalaya Golf and Country Club, with two of the oldest 18 hole golf courses on the Costa del Sol. 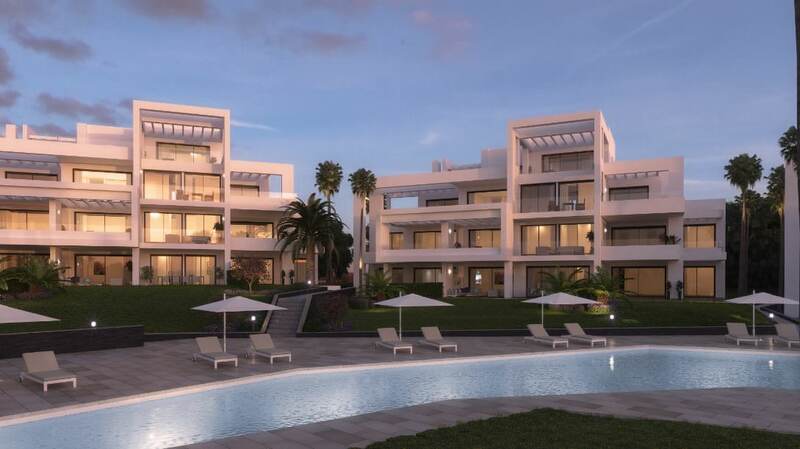 All home owners of Las Terrazas de Atalaya will benefit from the Privilege card of the Atalaya Golf and Country Club. 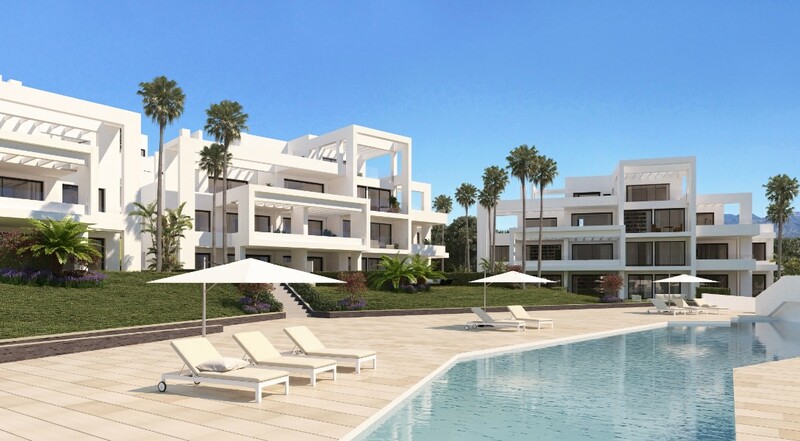 As for the 14 penthouses a share in Atalaya Golf is included. For Golf lovers this area is paradise with so many nice golf clubs nearby. A few to mention: Atalaya Golf and Country Club, Guadalmina Golf, El Paraiso Golf, Marbella Club Golf Resort, Los Arqueros Golf and Country Club, El Higueral Golf, Los Flamingos Golf and many more.. The new Bilingual School Atalaya is just two minutes walk away, as well as a leading supermarket. Las Terrazas de Atalaya is located on the road to Benahavis and is strategically located just beside the spectacular golf course Atalaya Golf and Country Club. 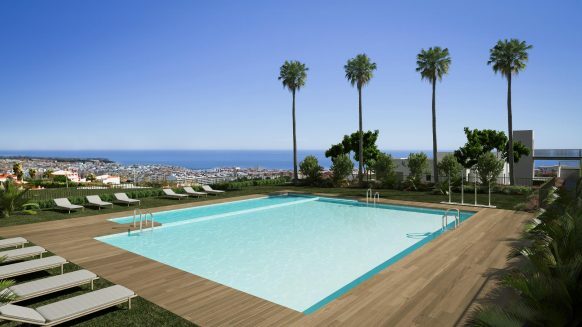 Las Terrazas de Atalaya is only one kilometre to the beach and a 2 minutes drive to the motorway with easy access to the toll road which brings you to Malaga international airport within 40 minutes. The famous Puerto Banus and Marbella is just 7 minutes drive away. A new investment opportunity not to be missed!